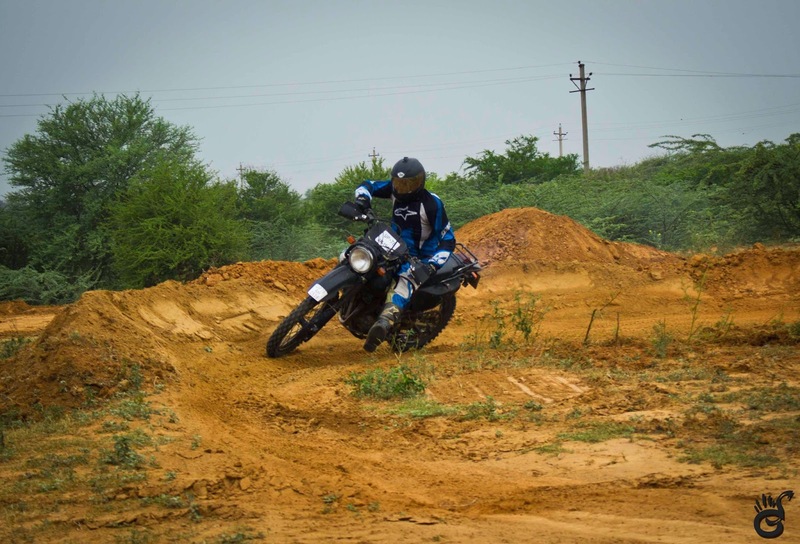 Our very own Mr. Krishnendu Kes a.k.a Ken, often used to say that one must try Off-Roading and take it seriously, because that's one thing which's gonna change a person's riding style for ever. I would have no shame in accepting that I couldn't relate to this theory (speaking of theories, I really didn't liked them ever). Well time passed, and observing Ken, I used to wonder why does he rides the way he rides, certain mannerisms in his riding style, the way he handles a motorcycle, be it throttling up or braking, how does he do things the way he does them. 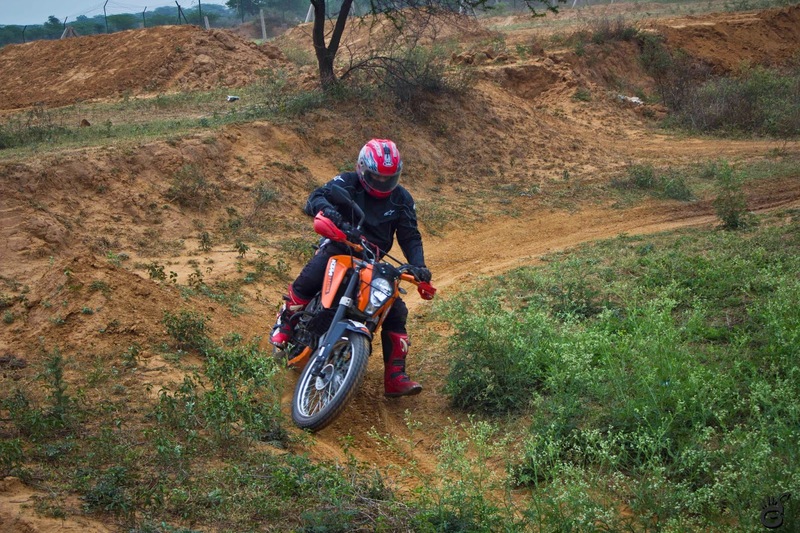 Well, as fortunes would have it, despite of my earlier hesitation, today I got my chance to experience Off-Roading for the first time, and BOY WAS I SO WRONG IN NOT BELIEVING HIS THEORY!! 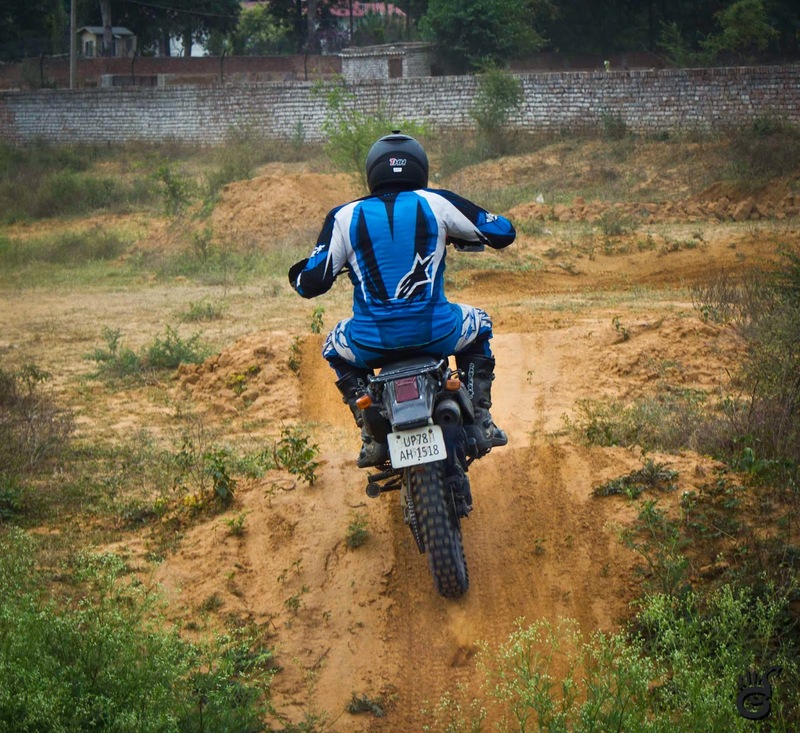 One thing is for sure, any kind of sports motorcycling is not for the casual hearted. 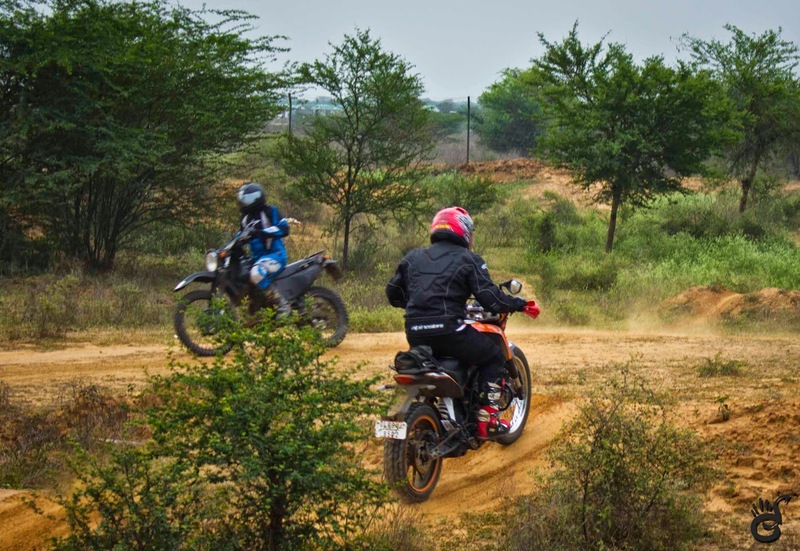 Sports motorcycling needs a lot of passion, dedication and above all, physical fitness to even try to identify what your own limit is, and when it's Off-Roading, well notch up those factors by a couple of degrees. 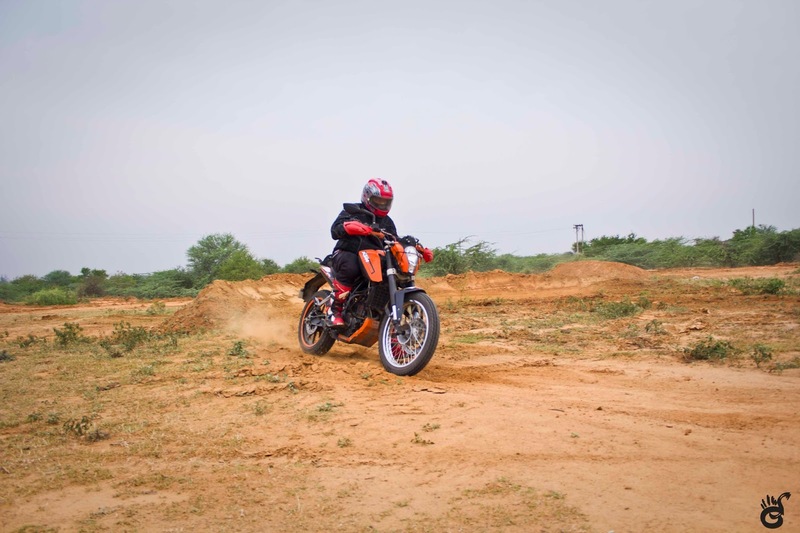 For me, it was all the more different, because when riding motorcycles on road, the body positioning to which I'm used to, the riding dynamics to which I'm used to, the throttling and braking to which I'm used to, were left back at the starting point of track in which were practising. 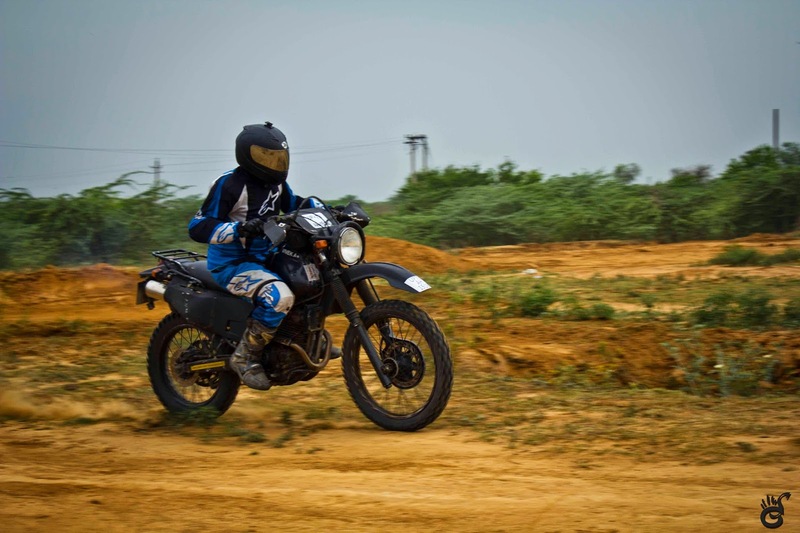 I was working on the motorcycle way differently than I'm used to, and when riding something like the Yamaha TTR, things become all the more interesting. 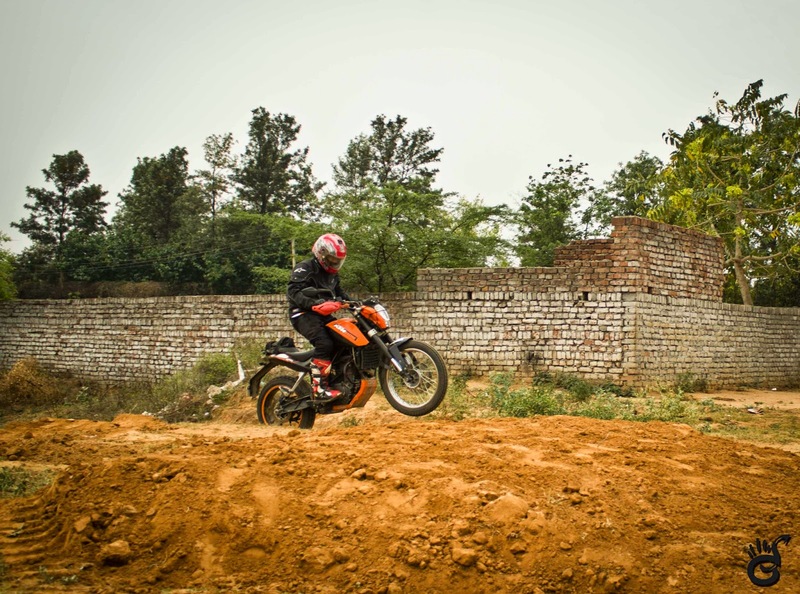 My practice session started with riding a modified Bajaj Pulsar 220 (tailor made for Off-Roading) and boy was I along with the bike were going all over the place in the track. 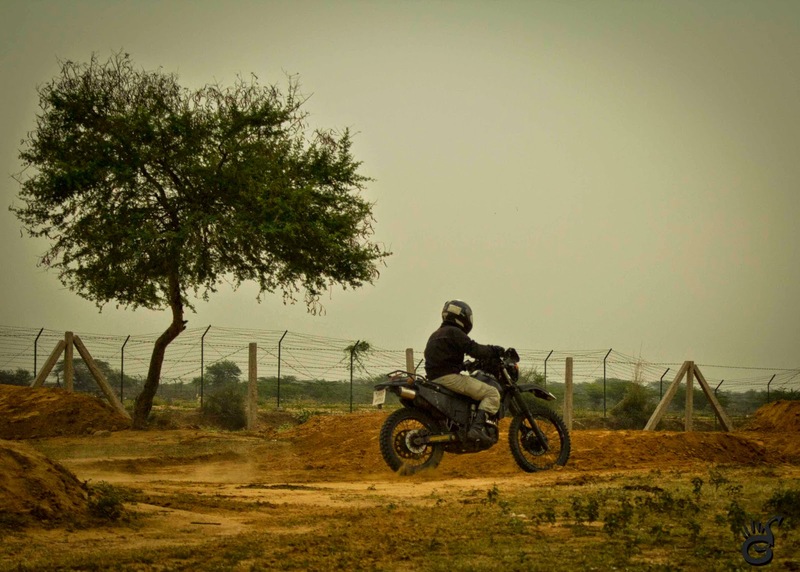 At one point of time I felt that the motorcycle would run away and leave me behind. It was so un-nerving to even try and push the motorcycle. 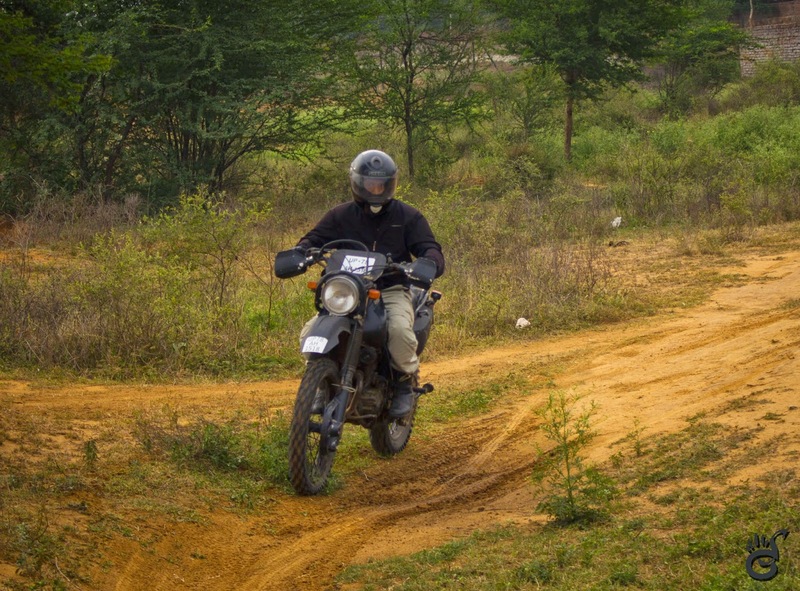 The slowly I realised that I was riding the motorcycle all wrong and slowly I started to settle down with the Pulsar 220. 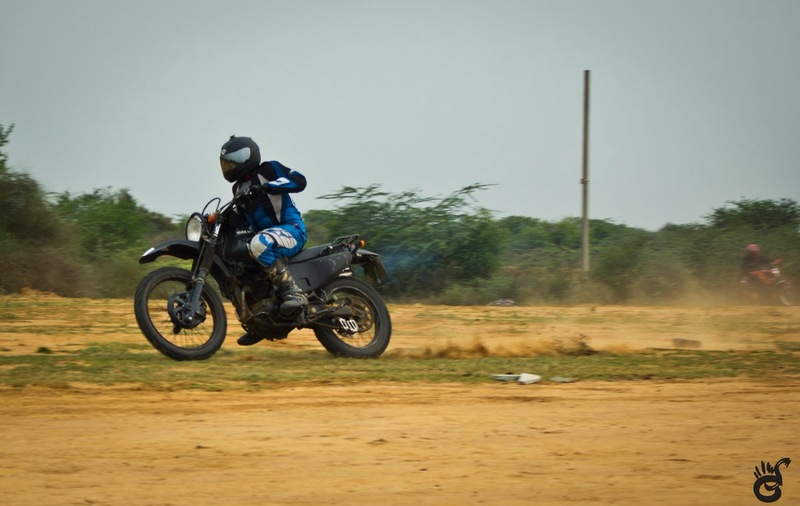 Then came the opportunity of the day - chance to ride the Yamaha TTR. 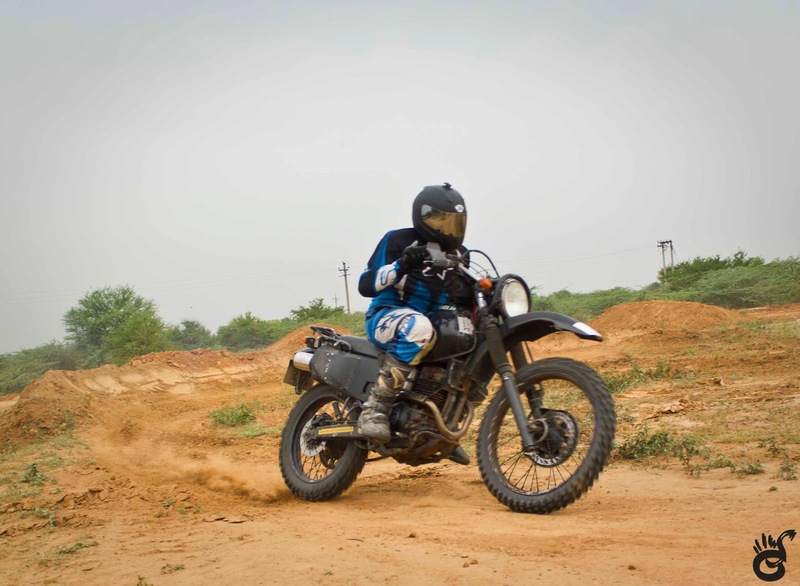 I must tell you, when it comes to Off-Roading, this motorcycle is a SUV, it inspires to push it and keep pushing (once you get past that mental block about the weight of the motorcycle). 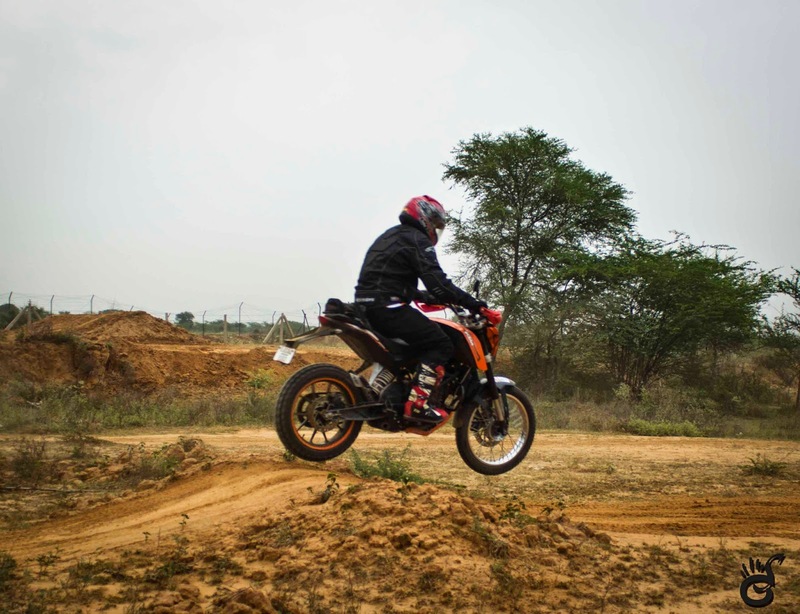 I was told that with each lap I was completing my timing was improving, and I must tell you, for a person like me and for a rider like me, hearing this was a big thing because I never expect I could handle something like Off-Roading. 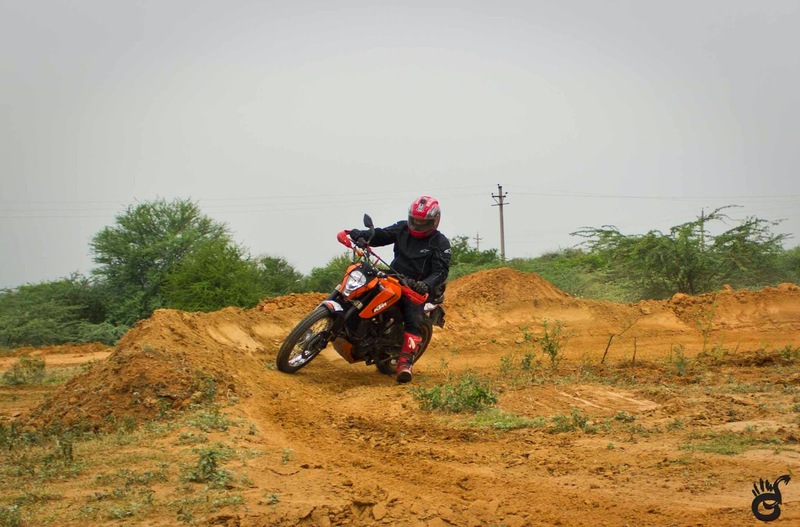 Practicing Off-Roading, teaches so much, how to handle a motorcycle when surface is unpredictable, how to balance the motorcycle in such condition and still keep throttling, how to get maximum traction from such surface conditions and above all, how the brake effectively. There's no doubt that today's experience was pretty overwhelming - both physically and mentally, but boy am I excited to get back to the track and do some more laps. Thanks Krishnendu Kes and Vivek for this wonderful opportunity.